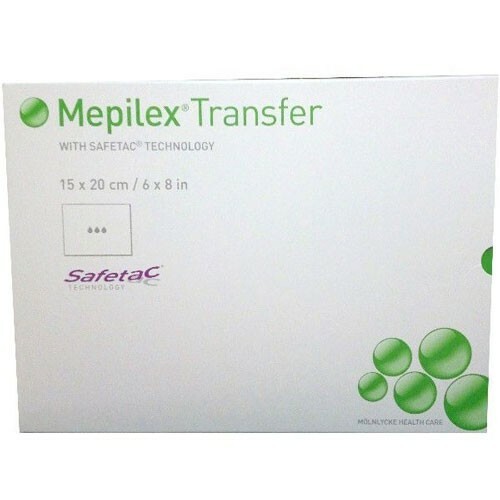 Molnlycke Mepilex Transfer Soft Silicone Exudate Transfer Dressing has a unique foam structure that vertically removes drainage from the wound and into a secondary dressing. 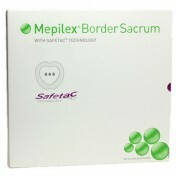 This keeps the wound dry — minimizing the risk of softening and breaking down the skin. 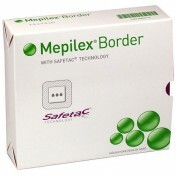 The soft silicone Safetac layer adheres to the surrounding skin, even difficult contours, to prevent exudate leakage. 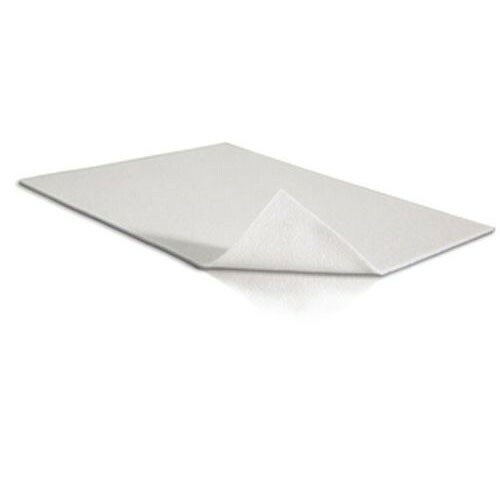 When used properly and in combination with an absorbent cover dressing, it maintains a properly moist wound environment. 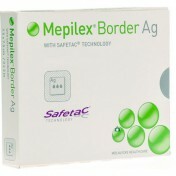 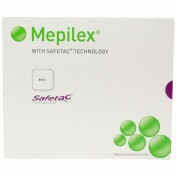 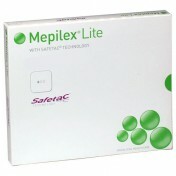 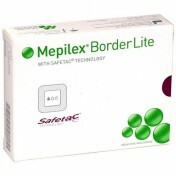 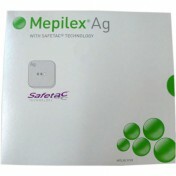 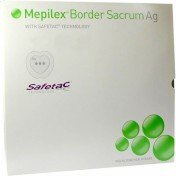 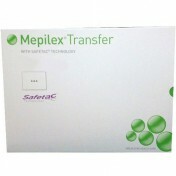 The Mepilex Transfer Dressing with Safetac technology is comfortable to wear, less painful to remove, and can be used for medium to high exuding wounds.